Product prices and availability are accurate as of 2019-04-20 10:46:31 EDT and are subject to change. Any price and availability information displayed on http://www.amazon.com/ at the time of purchase will apply to the purchase of this product. 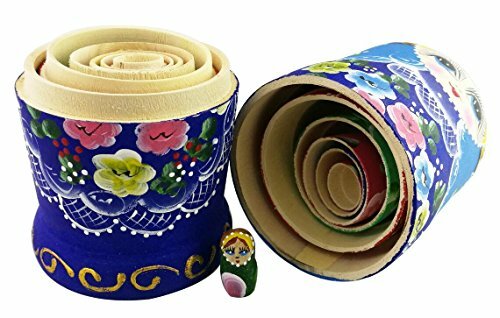 Matryoshka is the most famous Russian souvenir, it is considered to be a phenomenon in the world culture, a puzzle wrapped in a mystery inside an enigma, soul of Russia. 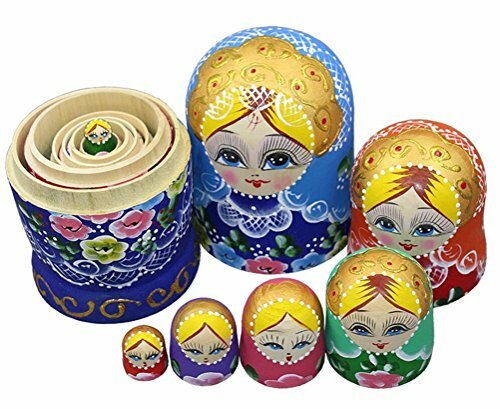 The art of the Russian matryoshka is the most comprehensive account of the history, production, varieties, and creators of these charming nesting dolls. 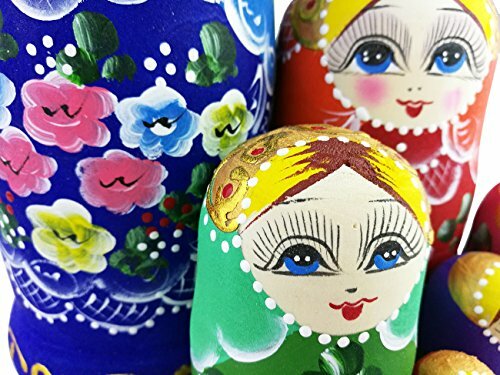 In their short-100 year history, these nesting dolls have become more than a popular souvenir or a folk craft; they are a medium for the talented Russian artists - and a symbol of Russian folk culture. 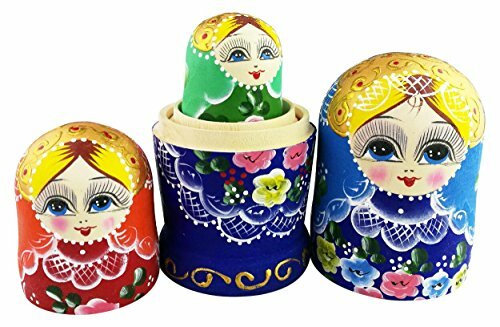 This is a new kind nesting dolls with little girls'favourite patterns,they will love to spend time playing with them,and also a cute decoration to their room. 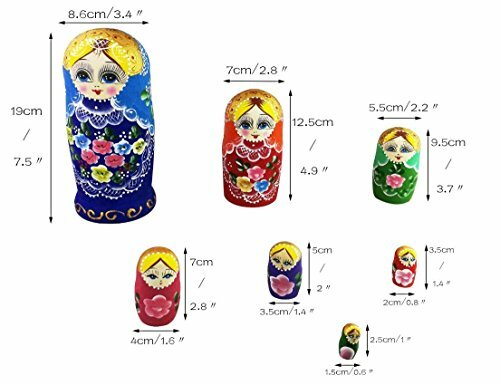 Size: The height of the largest one is 19cm/7.5inch. Fit for kids 12 months and up. 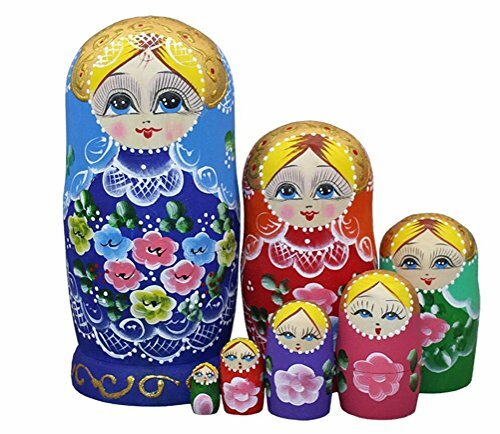 Patterns, colors and shapes may vary slightly due to the fact that nesting dolls are handmade.